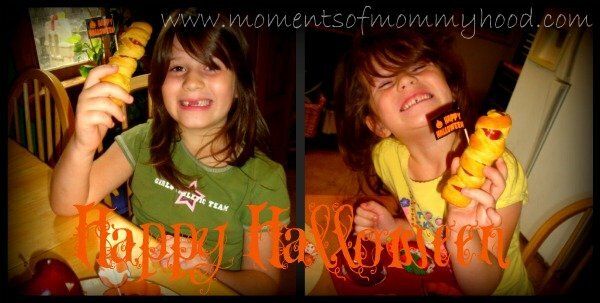 Moments of Mommyhood: A Spooktacular Meal! 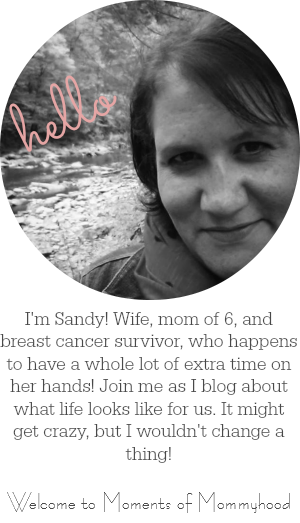 If you would like to participate in Muffin Tin Monday or even if you just want to see what other moms have made, please visit Muffin Tin Mom! I dare you to! Very cute! I wanted to use some sort of "blood" sauce for our severed finger cheese but my kids would have turned their little noses up at that. LOL Great tin! The mummy dogs look like they were a hit. The fingers look so scary. How creative are you? I really like the kidney beans as organs and you did a wonderful job carving that apple! Love the muffin tin! It is so cute! I love this! Its sooo creative and cute! This is just so fabulous! I have have to try it with my kids. What a great tin! We have the same cupcake liners and picks. I was so excited to turn them inside out for the design to show because I haven't done that yet... oh well, next year! I love the apple and the mummy dogs. :) Everything looks yummy and so creative! sooo cute and i suddenly realize how un-food-crafty i am! What a fun tin! I love the severed fingers in blood, very fun! Yum! We don't eat meat, but those mummy hotdogs have got to be my fav! Love the apple too! I love the mummy dog. I am going to a potluck halloween party this weekend and now I know what I am bringing. Thanks for sharing!!! Though we don't celebrate Halloween I have to say your tin is so creative. Amazing how realistic those fingers are.